Beginning February 11, 2019, BART will shift its start of service from 4 AM to 5 AM on weekdays to allow extra time for a critical seismic retrofit of the Transbay Tube. This change will last for the duration of the 3.5 year-long project. 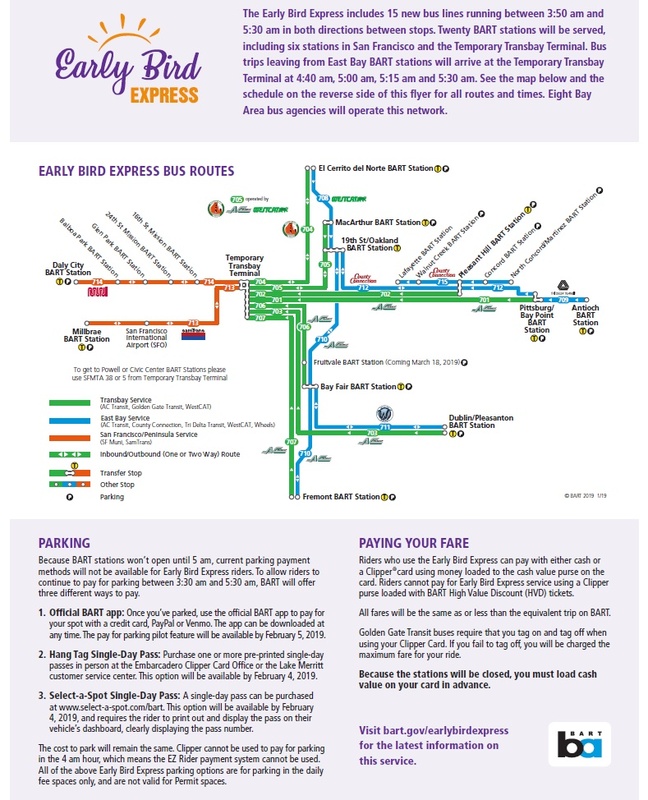 A robust alternative bus service plan called the Early Bird Express has been developed for the 4 AM hour. 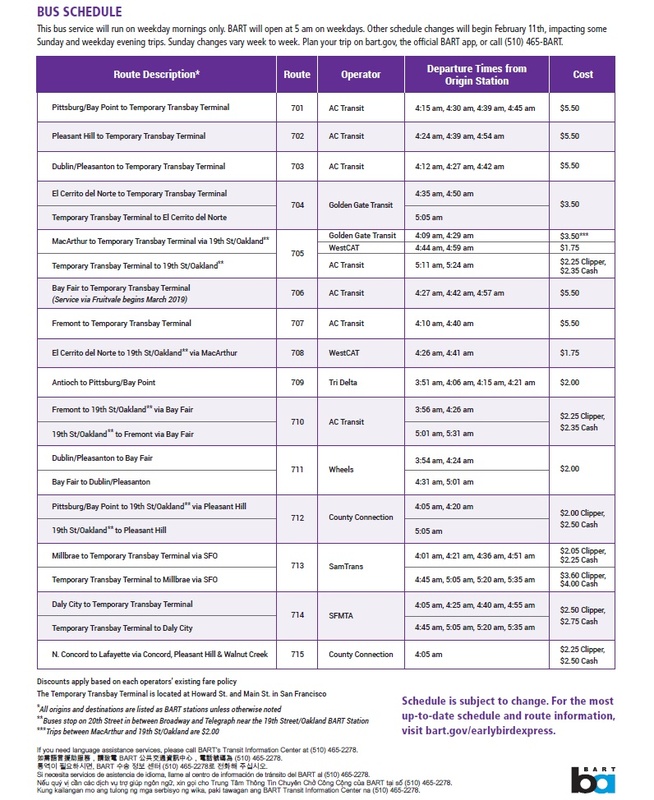 The latest Early Bird Express information is available at the following webpage: https://www.bart.gov/schedules/early-bird-express. This entry was posted in BART. Bookmark the permalink.